Other times, overlooking the obvious can lead to surprisingly disappointing results, like when I decided to make a particular tart that was so named for the fact that it was topped with candy, not fully realizing that, lady, you’re about to top a tart with candy, which means that things are going to get really, really sugary around here. 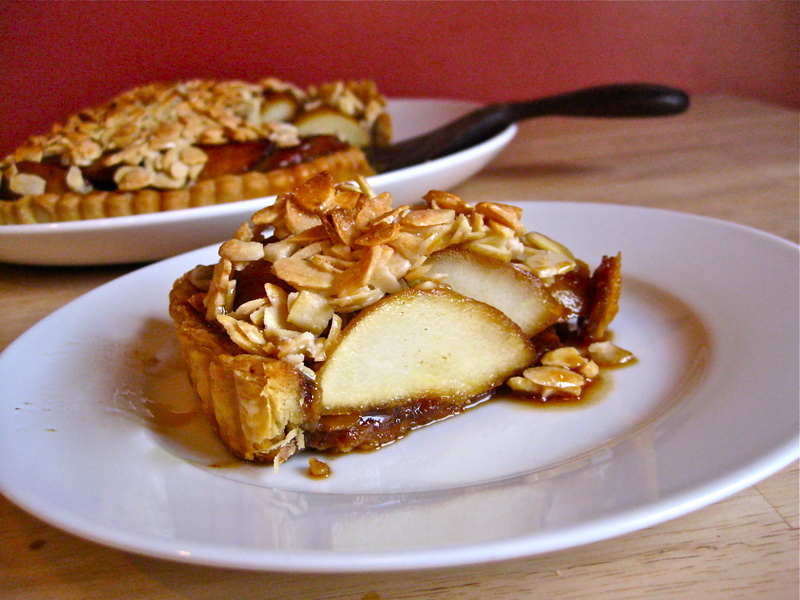 Yes, when I first made this tart, I lamented the fact that it was far, far too sweet for my tastes. At first I couldn’t figure out why, because I was too focused on the tart’s other, more pleasing, qualities (like, for instance, the shot of lemon that wakes up every other flavor, or the small splash of cream that I added to the pear caramel to round everything out), but then, looking back on the recipe, and, you know, its name, it suddenly occurred to me that I had just made a tart topped with candied nuts. So, that’s going to be sort of sweet. Because of this, I actually debated whether or not to share my experience with this recipe, not being sure if I wanted to highlight something that I thought needed its sweetness dialed back so severely. In the end, realizing that the rest of the recipe is fairly delightful, it seemed like the recipe did need to be shared, albeit in a somewhat less-sweetened form. And even though I swapped out the original recipe’s call for apples with my own penchant for pears, and I ever-so-slightly altered the pears’ cooking method in order to get a more usable sauce in the end. Okay, so there is a fair amount that I changed about this recipe, but only because I had a hunch that what I found to be almost perfect could, with a bit of fiddling, be made to shine. And at the risk of sounding like a weird pageant mom, I think that bit of polishing has rendered this tart now ready for its close-up. Preheat oven to 350 degrees Fahrenheit. 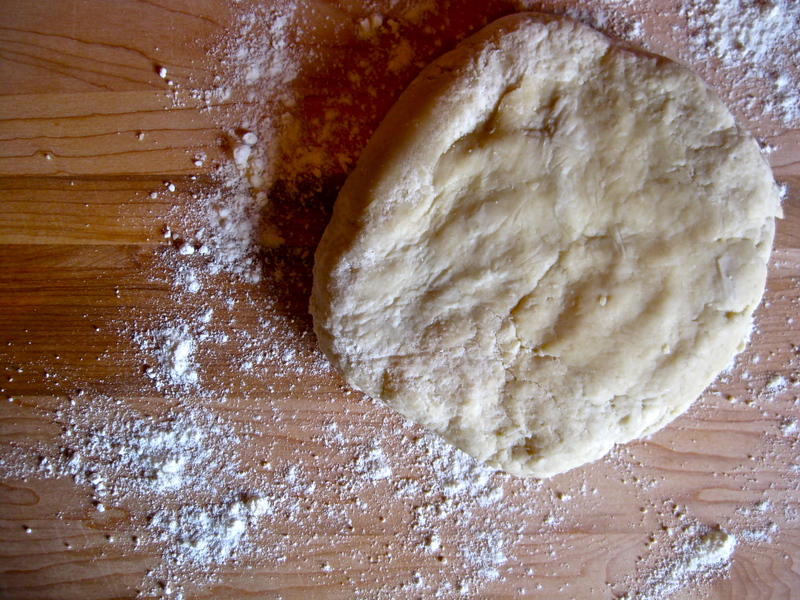 Place fully baked tart shell on a baking sheet and set aside. Have a large bowl ready to hold the sautéed pears. 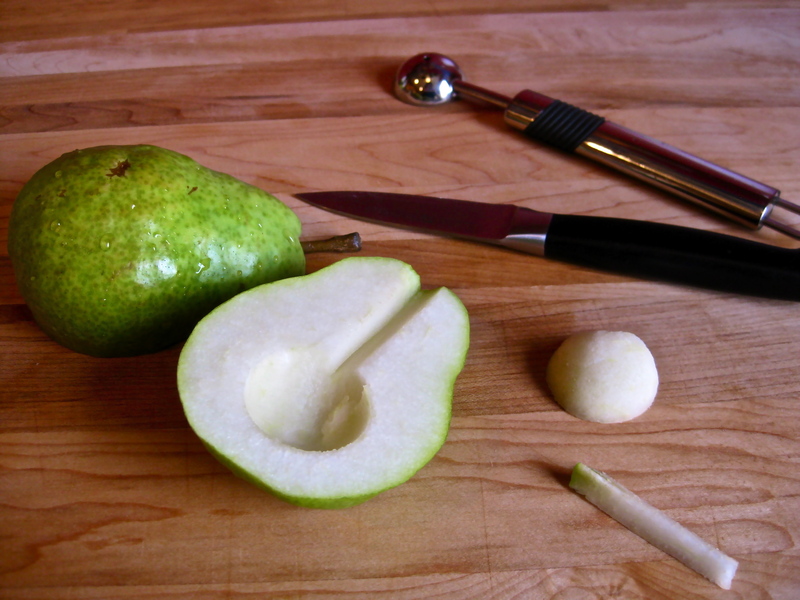 You will be sautéing the pears in 4 batches, so divide the pears as needed. In a heavy sauté pan, melt 1 tablespoon butter over medium heat. Add 1 tablespoon of sugar and allow it to just caramelize with the butter, turning a medium brown. Add 1 batch of the pears to the pan in a single layer. Saute until soft, turning a few times with a spoon. 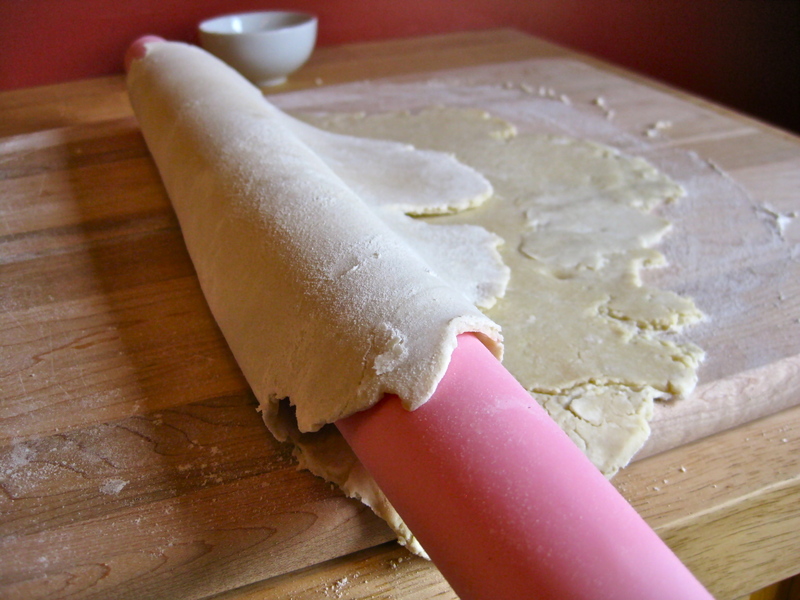 If the sugar begins to darken too dramatically, reduce the heat to low. 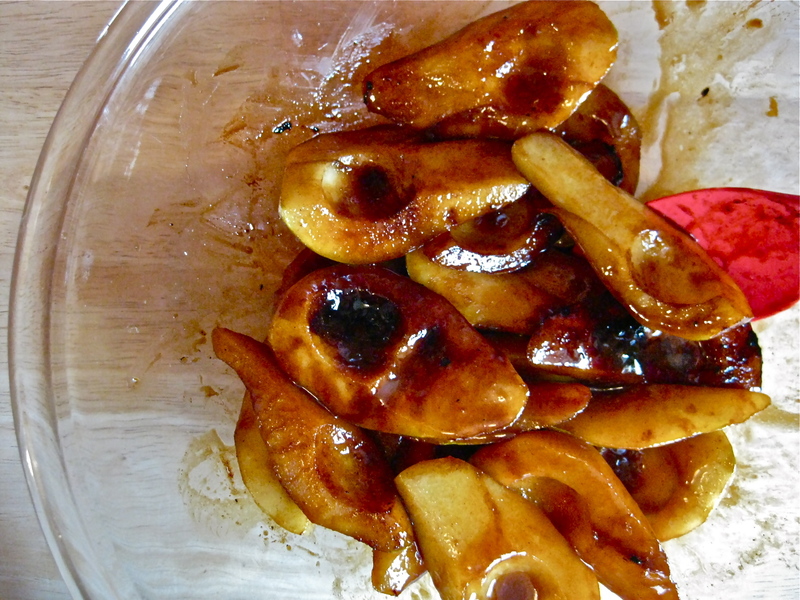 The pears should become quite soft and caramelized as they cook, but still hold their shape. 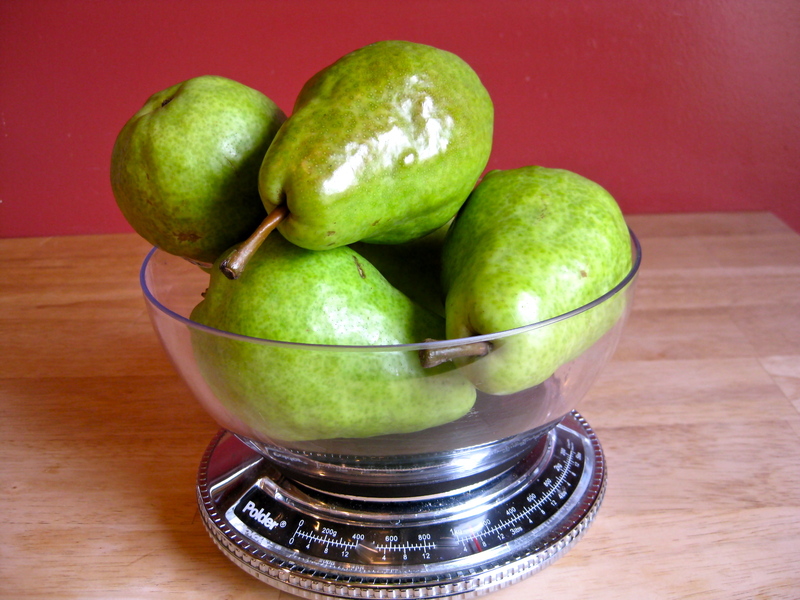 The timing of this will depend on the ripeness of your pears, but it should not take more than 5 minutes. When the pears are caramelized and soft, transfer them to the waiting bowl. Add another tablespoon of butter and sugar to the pan, not cleaning the pan between batches. Add another batch of pears, and cook as you did the first batch. The second batch should not take as long as the first. Continue with the remaining batches of butter, sugar, and pears, adjusting the heat as necessary to keep the caramel in the pan from burning. When all of the pears have cooked, the caramel remaining in the pan should be quite dark. Increase the heat under the pan to medium high, then deglaze the pan with 3 tablespoons of water, scraping up the bubbling caramelized bits with a wooden spoon or a wire whisk. When most of the bits from the pan have been loosened, add the heavy cream and continue to stir or whisk until the liquid has reduced by about 1/3. 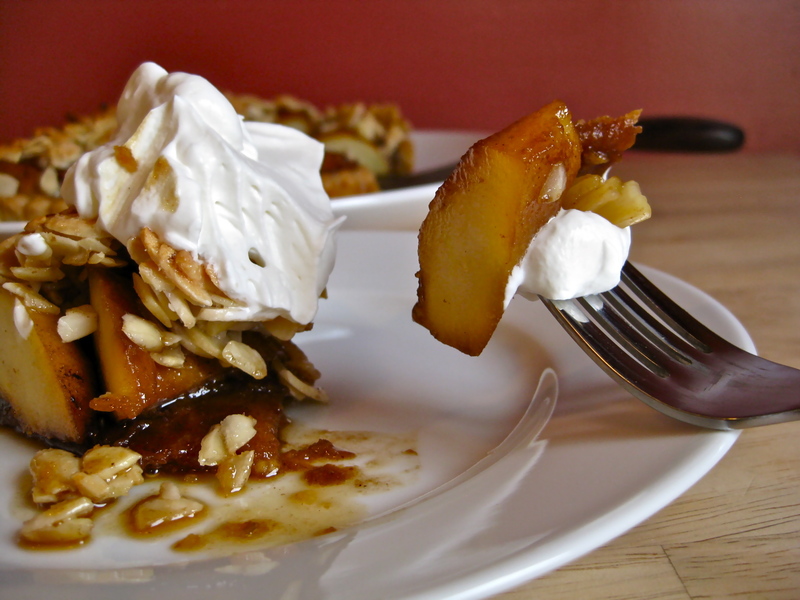 Pour the reduced caramel and cream mixture over the sautéed pears, then toss to combine. Add the lemon juice, lemon zest, and salt to the pears, then toss once more. 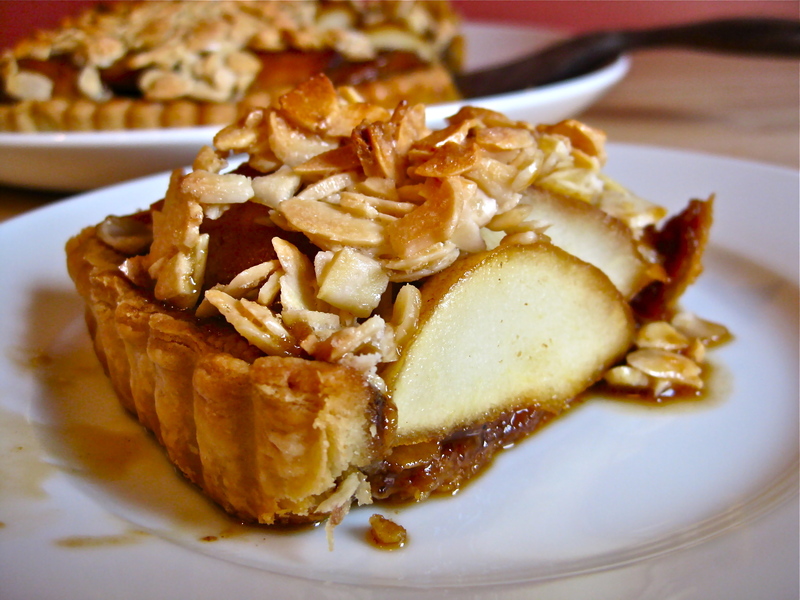 Pile the pears into the baked tart shell. 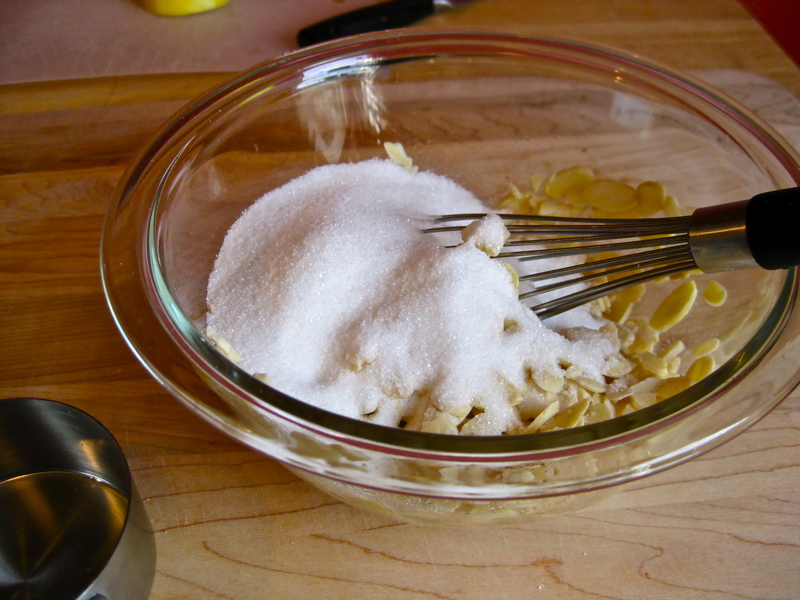 To make the topping, combine the almonds, sugar, egg whites, and salt in a small bowl. Stir well to combine. 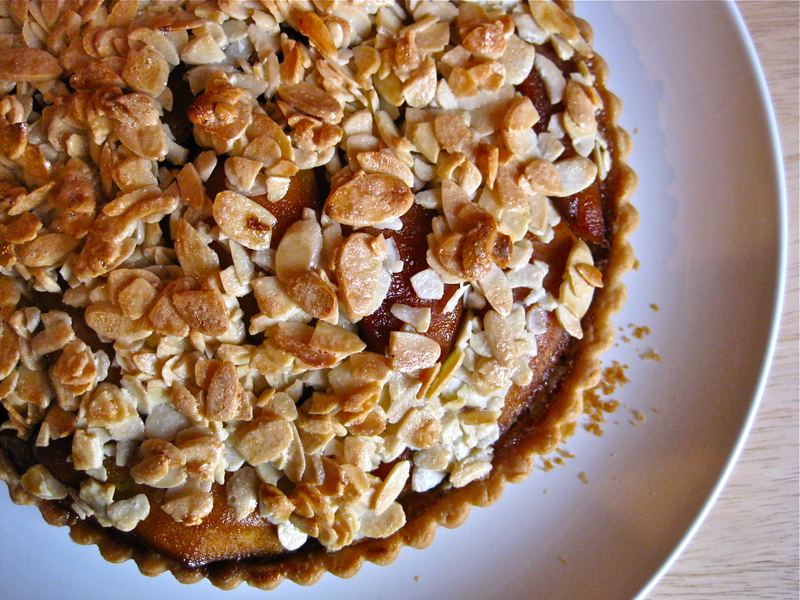 Spread the almond mixture evenly over the pears, extending the topping all the way to the edges of the tart. Bake the tart on a baking sheet, in the middle of the oven, until the topping is browned, about 30 minutes. Transfer to a wire rack to cool completely before serving. This looks beautiful. I like that you dialed back the sweetness, we’re always doing that. I find that I pretty much want to make everything a little less sweet these days. Maybe it has something to do with getting older, or maybe it’s more related to the fact that, in my youth, I was blessed with the ability to eat positively insane amounts of sugar. Perhaps I just topped out.